Believe it or not, St. Patrick’s Day isn’t actually about drinking green beer and eating corned beef and cabbage. There’s a real history to the day, and a much deeper meaning than an excuse to down a bottle of whiskey and sing loudly at the local pub. While all those ways of celebrating are great, they just seem like any other Saturday night without knowing what St. Patrick’s Day is really all about – spiritual renewal and offering prayers for missionaries worldwide. The people of Ireland have observed March 17th as a religious holiday for over 1,000 years, honoring Saint Patrick, their patron saint and national apostle, on the anniversary of his fifth century death. On the holy day, which falls during the Catholic season of Lent, Irish families attended church in the morning, followed by great celebration in the afternoon. The Lenten rules against eating meat were waived and people joyously danced, drank, and feasted on the traditional meal of Irish bacon and cabbage. While it’s a historical fact that St. Patrick wasn’t Irish, having been born in Britain around A.D. 390 (to an aristocratic Christian family with a townhouse, a country villa, and plenty of slaves), most of what is known about St. Patrick comes from the man himself, who wrote “Confessio”, a spiritual autobiography, and his “Epistola”, which denounced the mistreatment of Irish Christians by the British. 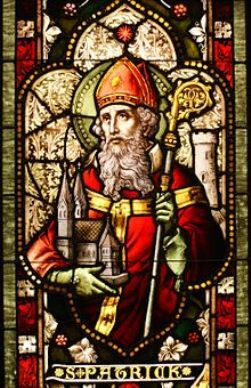 Although St. Patrick once described his adult self as a “most humble-minded man, pouring forth a continuous paean of thanks to his Maker for having chosen him as the instrument whereby multitudes who had worshiped idols and unclean things had become the people of God,” a young Patrick had no interest in Christianity. It wasn’t until the age of 16 when he was kidnapped and sent overseas to work as a slave herding sheep along the cold mountainous Irish countryside for seven years that he had a religious awakening. According to folklore, Patrick in his dreams by a voice telling him to escape, he found passage on a pirate ship back to Britain, and was reunited with his family. The voice then returned and told him to go back to Ireland. Patrick was ordained as a priest by a bishop and spent the rest of his days trying to convert the Irish to Christianity. Although it is a common miss-belief that St. Patrick was the very first to bring Christianity to Ireland, he was the one who is said to have encountered the Druids at Tara and abolished their pagan rites. According to Irish lore, Saint Patrick converted the warrior chiefs and princes by baptizing them, along with thousands of their subjects in the “Holy Wells” that still bear the saint’s name. This is most likely where the stories of St. Patrick driving the snakes from Ireland got their start. While it’s true that there are no snakes in Ireland, the fact of the matter is that there probably never were, as the island was separated from the rest of the continent at the end of the Ice Age. In many pagan religions, snake and serpent symbols were commonly worshiped, so the “driving the snakes from Ireland” is perhaps symbolic of St. Patrick putting an end to that particular pagan practice. Speaking of symbols…..the shamrock is part of the St. Patrick’s Day mix because it is said that St. Patrick used the three leaf clover to explain the Christian holy trinity of the Father, the Son, and the Holy Spirit. The custom of wearing a shamrock on March 17th dates back to the 17th and 18th centuries, and today is worn out of tradition. So now that you know what St. Patrick’s Day is really about, it’s time for the really fun stuff!! There are hundreds of St. Patrick’s Day parades the world over. The easy part is finding one; the hard part is deciding which one to go to! Fun Fact: The first St. Patrick’s Day parades were held by Irish soldiers fighting alongside the British in the U.S. Revolutionary War during the 19th century. One such a parade occurred in 1762 when soldiers marched through the streets of New York City as a way to reconnect with their Irish roots. If you’re more interested in being active than sitting and watching a parade go by, there are several St. Patrick’s Day Fun Runs & Walks across the United States, Canada, and Ireland. 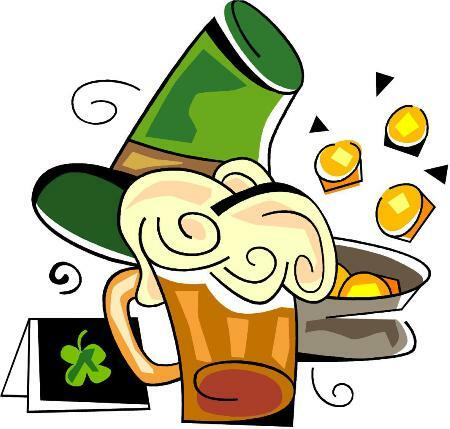 For those of you who make it a mission to celebrate St. Patrick’s Day with great drink and revelry, there are a ton of Irish pubs worldwide you can visit. Fun Fact: On the average day, 5.5 million pints of the famous Irish stout Guinness are consumed around the world; this number more than doubles on St. Patrick’s Day to 13 million pints. And of course no St. Patrick’s Day celebration would be complete without some Irish Songs for St. Patrick’s Day along with a delicious Irish recipe for the whole family. Mullins Farms wishes you a happy and SAFE St. Patrick’s Day 2012! This entry was posted on Wednesday, March 14th, 2012 at 11:15 AM	and is filed under Misc.. Both comments and pings are currently closed.